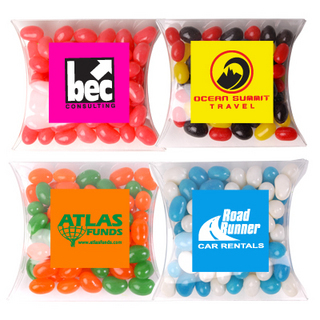 100 grams of corporate colour Jelly Beans packed in Pillow Pack. Maximum of 3 corporate colours. Your choice of black, blue, green, orange, pink, red, yellow or white jelly beans. Statutory information label and distributor details adhered to pillow pack. Finished weight 110 grams.